The Art Loss Register and Julian Radcliffe got the New York Times treatment last week. I think it was an accurate portrayal of the ALR and its role in the art market. I couldn’t help but be a little disappointed in many of the same art crime tropes that some are unable to resist in a piece like this. Things like Radcliffe’s physical appearance, his almost spy-novel backstory, and other aspects distracted me from some of the good reporting in the piece. The main point holds true I think, that nobody really loves the ALR, but they do perform a service for the Art Market. Much of the criticism lobbied against the organization is entirely justified, but many critics point to the fact that the ALR not only is a database, but also acts as a stolen art recovery service, in exchange for a sizable portion of the value of the work. That has often put them in an uneasy position. I have heard many similar arguments and criticisms of the ALR. Dorothy King relates a similar example from last year. Have any experience dealing with the ALR that you’d like to share? Comment below or drop me a note. Kate Taylor & Lorne Manly, Tracking Stolen Art, for Profit, and Blurring a Few Lines, The New York Times, September 20, 2013. This work was recognized by a an individual from Le Havre France as a painting which had been stolen in 1973. The individual recognized the long-missing painting in Sotheby’s auction catalogue. It was slated for sale today before the auction house withdrew it. 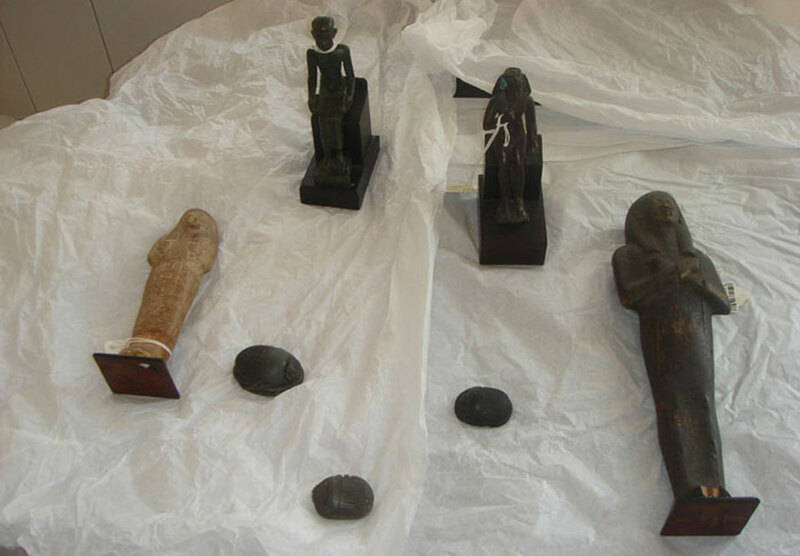 The French Culture Ministry says that it will negotiate the return of the work, and that the seller “seems to be of good faith”. The case speaks to the difficulty with multiple stolen art databases. The painting is apparently on a museum data list in France, but it is unclear from the initial reports whether the work was reported to the Art Loss Register, the leading stolen art database. 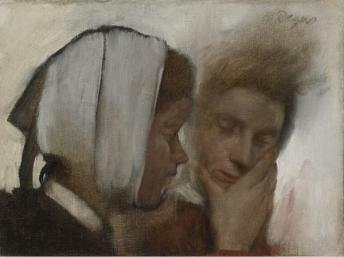 Stolen Degas painting resurfaces at Sotheby’s auction, AFP, November 3, 2010, http://ph.news.yahoo.com/afp/20101103/ten-france-us-art-painting-auction-degas-1dc2b55.html (last visited Nov 3, 2010). Stolen Degas painting discovered at New York auction, RFI, November 3, 2010, http://www.english.rfi.fr/americas/20101103-stolen-degas-painting-discovered-new-york-auction (last visited Nov 3, 2010). Artdaily is reporting on the recovery of A Bridge, Race Gate by Andrew Wyeth. The work was stolen from a Houston home, along with 22 other works in 2000. The painting was then registered on the ALR database. The painting was registered on the ALR’s database of lost and stolen artworks and nearly a decade later, the painting emerged at Simpson’s Gallery in the very city from which it was stolen. When a suspicious would-be consignor arrived at his auction house looking to unload the Wyeth, Ray Simpson recognized the quality of the work and the celebrity of its artist. He agreed to take the picture in for an evaluation and suggested that its seller return in a few hours. Mr. Simpson, trusting his instincts and first impressions, then called the New York office of the ALR to request a search of the suspect picture, at which time it was matched by art historian, Erin Culbreth. The story goes on to say “After significant research and assistance from Nationwide Insurance Company, the ALR was able to determine the owner of the painting and broker a deal for its return. In the end, it was the instinct of Ray Simpson that set the wheels of the recovery in motion.” I’d like to know a lot more about these details, because what generally happens in these cases is the original owner and victim of the theft has probably received an insurance settlement, which usually gives the insurance company title to the work. As such, that’s why the work will be sold at a Christie’s auction in Dec. 2008. The ALR may have been very helpful in this case to the insurance company, and the gallery owner should be commended, however this is still not a happy ending for the original owner, they don’t usually get their insured painting back. I’ve been informed that the original owner actually had an opportunity to purchase the work at a substantial discount, but decided against it because she did not need the money. The point I was attempting to make is it is often very difficult for a thief or subsequent possessors to sell a work by such a well-known artist after it has been stolen, which makes it a real shame because often times fully compensating the original owner is difficult if not impossible. That’s not the case here though as the owner had an opportunity to purchase the work and could have then auctioned the work and made a substantial profit perhaps.